Drift refers to your kite’s ability to fly with a bit of slack in your lines. This kind of situation occurs when you’re moving fast on your kiteboard toward your kite, causing the lines to loose tension for a moment. In such situation, a with good drifting ability will continue to fly and stay ahead of you moving downwind. Conversely, a kite that doesn’t drift well may backstall, overfly, or eventually drop out of the sky and fall down unless you power it up again. Drift is essential for some riding styles and/or conditions. Wave surfing is one of them. When you ride down the line of a wave with your kite, your goal is to use the power of the wave as much as possible rather than the wind. Therefore, you depower your kite and focus on surfing the wave. As a result, your board moves faster than your kite, and you move fast toward the kite, causing some slack in your lines. What you want is for your kite to remain parked, i.e. keep floating downwind (aka drifting) in this depowered state so you can focus on surfing the wave on your board for a moment. If your kite doesn’t drift well, you have to continuously maintain tension in the lines by making successive tight turns in the wave, which prevents you from enjoying a pure down-the-line surfing experience. For more on surfing, see my post on choosing the best kite for surf riding. 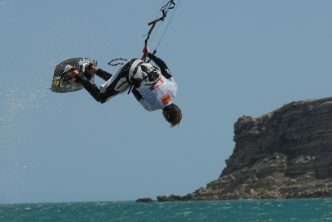 Drift is also important when riding downwind and doing freestyle tricks with complex flips and inversions in the air. In order to land smoothly, you always head your kite downwind before landing, which means you’re moving fast toward your kite as you hit the water. Your kite needs to have some amount of drift so you can comfortably complete your landing and repower the kite. A kite that can drift is also better for riding in low winds, since wind lulls may create slack in the lines. A kite without drift is more likely to crash earlier when the wind drops significantly. What makes a good drifting kite? A kite that drifts well is stable than parked, i.e. it doesn’t need to be actively flown at all times. When the kite is depowered, it should be stable and have a slight drag and lift, keeping the kite responsive and keeping it from dropping off and falling. Good drifters typically sit further back in the wind window, although some kites drift well both high and low in the window. Bad drifters, on the other hand, are not as stable when depowered and may backstall or even hindenberg – i.e. the kite stalls and falls out of the sky. A kite that doesn’t drift may overfly when the lines get slack, that is fly backward in the wind window over your head, trailing edge first. It then may end up folding (wingtips together) and dropping out of the sky unless you power up the lines again by riding away from the kite. Signs that a kite doesn’t drift well including if its canopy starts flapping as you move toward it, or if you have a hard time keeping it at 12:00. 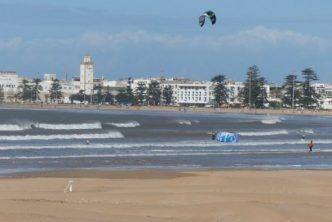 Such low-drift kites can be great for those riding styles that involve moving the kite a lot but are not ideal for wave and downwind riding. Whether a kite drifts well or not does not depend on the rider’s flying skills but on the kite’s shape and design. Kites that drift well typically have a more arched shape and wide tips – flatter shapes with pointy tips typically don’t drift as well. While there are debates about C vs bow vs delta vs SLE, there are good drifter kites in all categories. Lower-aspect kites do tend to drift better than higher ones, however. High aspect kites don’t drift as well but have better upwind capabilities. Also, good drifters are often lightweight kites such as the Reo or the Neo (read about my experience with the Neo here). Kites with a heavy leading edge don’t drift as well as their center of gravity is further forward. A good drifting kite is well-balanced with a center of gravity not too far forward or backward so it can comfortably fly with slack lines. There are dozens of kite models that are good drifters, including wave kites and some freestyle kites. As far as I’m concerned, two kites strike me as excellent drifters, the Cabrinha Drifter – as its name suggests – and the Duotone Neo. The Drifter (see it on Amazon) is built for waves and strapless surf freestyle, with special abilities in depowered conditions. When wave riding on a kite, you want power for catching the wave, but as soon as you start riding it, you need the kite out of your way for a true surfing feeling. The Drifter is specifically designed for this, it drifts down the line ahead of you in a stable and predictable way so you can “park and forget” and focus on the surfing. The Drifter is lightweight thanks to a 3-strut construction. It has a “surf/drift” wingtip design (squared) and is relatively low aspect ratio. The Duotone Neo (see its price on Amazon) is also marketed as a high-performance pure wave-riding kite, though it’s often considered a very good all-around kite, used by schools a lot due to its stability and reliability. In waves, though, the Neo performs really well due to its very good drifting abilities. It’s a very stable kite that gives just the right amount of drag when depowered and sits nicely in the wind window when you’re riding down the line. I’ve been using the Neo for several years and am equally impressed by the drifting capacity of every version year after year. It has now become my go-to kite for wave riding.